Add some vintage flare to your home with the Velletri Pewter Sofa! 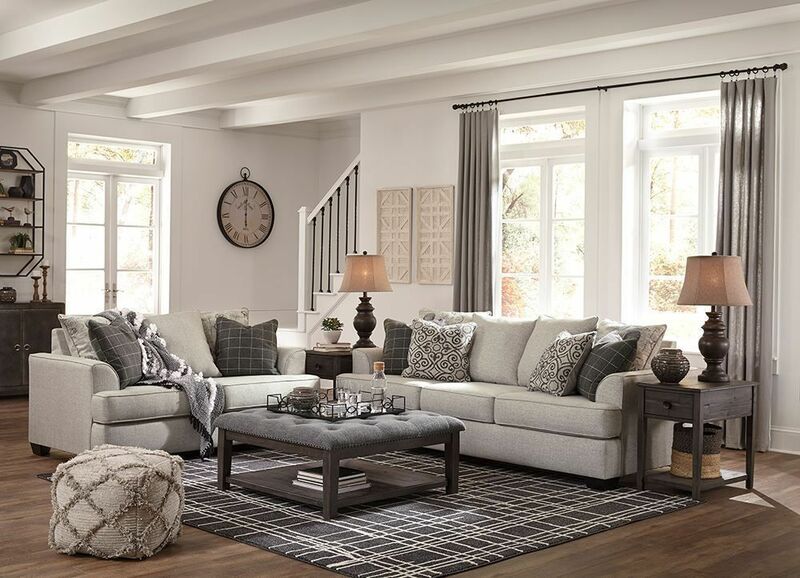 Two of the back cushions boast a vintage-inspired "Paris"script, while the throw pillows are extra charming with their gray-infused scroll and plaid patterns. You'll be able to add this sofa to any existing home set up, thanks to its neutral coloring. 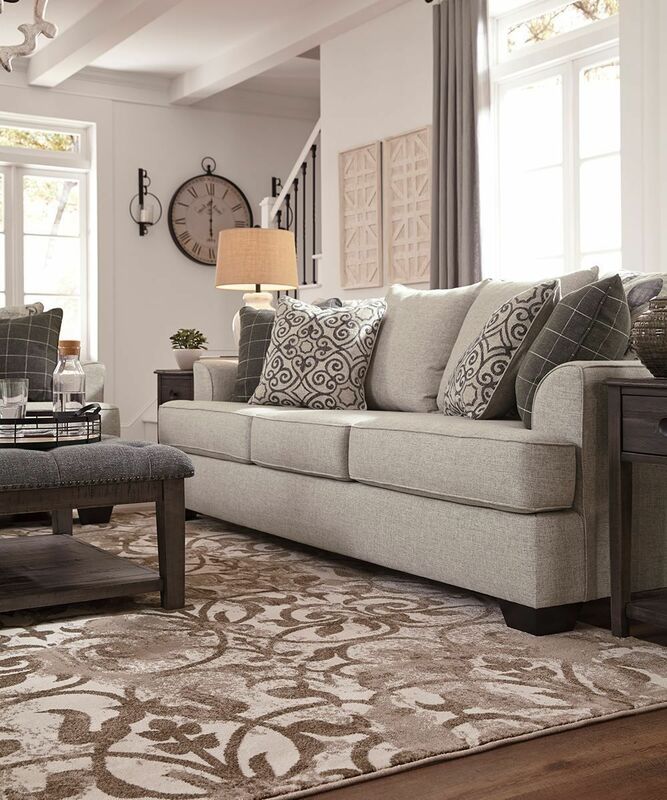 Add the Velletri Pewter Sofa to your home today! Add some vintage flare to your home with the Velletri Pewter Sofa!